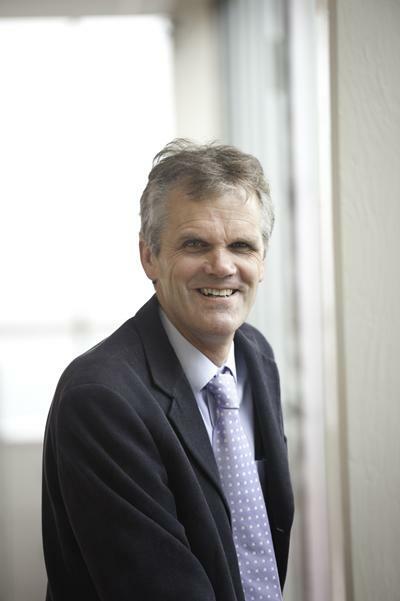 Professor Paul Roderick is Professor of Public Health within Medicine at the University of Southampton. He has diverse research interests embracing clinical epidemiology, health services research and public health. He has over 250 peer reviewed publications, has supervised to completion 15 PhDs/MDs and has substantial grant income from a wide variety of sources including NIHR and KRUK. A longstanding research focus has been on chronic kidney disease (CKD) where his research has addressed the epidemiology of CKD including its prevalence and prognosis in older people, and the effectiveness and equity of renal replacement therapy. He has been a member of the NICE Guidelines Committee for chronic kidney disease, and is a member of the international CKD Prognosis Consortium. Current interests include the impact of acute kidney injury (AKI) and evaluation of AKI prevention strategies, and the challenge of multimorbidity. He led the Primary Care and Population Sciences, one of the five schools in the Faculty of Medicine from 2010 until 2015. He co-directs a cross University Population Health Strategic Research (USRG) group. He is a member of the Steering Group of the NIHR Wessex CLARHC. He has been very active in undergraduate, postgraduate and professional public health training. He has been external examiner to several MScs in Public Health. MA, Medical Sciences Tripos, St John’s College Cambridge (awarded 1982). His research on chronic kidney disease is highly relevant to developing equitable and effective kidney disease services. He has shown that there are no social inequalities in the outcomes of dialysis but that there is an inverse socio-economic gradient of CKD; that reduced kidney function is of clinical significance in older people (a study contributing to recent meta-analyses published in the Lancet and JAMA by the CKD Prognosis Collaboration); and survival on dialysis is better in ethnic minorities. Recent research includes studies on the prevalence and determinants of CKD using Health Surveys for England, practice patterns for conservative kidney management as an alternative to dialysis (NIHR funded), equity of access to the kidney transplant waiting list (NIHR funded), detection and prevention of AKI (Wessex CLAHRC, member national Think Kidneys Risk workstream) and multimorbidity in CKD. He was a member of Editorial team of Cochrane Collaboration Renal Group 2000-2008 which produces systematic reviews of trials in renal medicine; and has been a member of the UK Renal Registry (UKRR) Steering Group since its inception until 2012, and now sits on the UKRR Research sub group. He was an invited participant at KDIGO international consensus conferences on CKD in Amsterdam 2006 and London 2009 and is a member of the international CKD Prognosis Collaboration. He has been external examiner for 6 overseas PhDs in kidney disease epidemiology. He was a member of the Department of Health's Renal National Services Framework (NSF) Group and of three major national kidney guideline groups: RCP/RCGP and NICE groups on anaemia correction in CKD and on CKD management. He gave public health advice nationally as a member of the Department of Health's Renal Advisory Group since 2004 -12 to ensure implementation of the Renal NSF, including advice on initiatives such as a new planning model for RRT services, CKD aspects of the Vascular Risk Assessment Programme, measurement of kidney function in the 2009/2010 Health Surveys for England, and renal health inequalities. He was a member of the National Kidney Quality Information Partnership 2009 -12. He was an advisor to the NCEPOD Acute Kidney Injury study (2007/9). He has undertaken research into the diagnostic and prognostic accuracy of non invasive markers of liver disease and the epidemiology of abnormal liver function tests, and treatment of alcoholic hepatitis (Stopah trial) and recently completed studies of the detection of alcohol related harm in primary care (RfPB, co-investigator on BLT funded follow-on study), and brief intervention to reduce alcohol related harm in a genito-urinary medicine clinic (RfPB). Ongoing research is also addressing the health of community offenders and the accessibility and effectiveness of health services for this group, the impact of teacher training on health promotion in schools (NIHR funded), the importance of health literacy and chronic disease management and the use of linked datasets for evaluating health care (Hampshire Health Record) and multimorbidity and global health. Paul Roderick's Inaugural Lecture from 3 July 2013 can be viewed online here. Wilding, S., Ziauddeen, N., Smith, D., Roderick, P., & Alwan, N. (Accepted/In press). Maternal and early-life area-level characteristics and childhood adiposity: a systematic review. Obesity Reviews. Hodgson, L. E., Congleton, J., Venn, R., Forni, L. G., & Roderick, P. J. (2018). NEWS 2 - too little evidence to implement? Clinical Medicine, Journal of the Royal College of Physicians of London, 18(5), 371-373. Roderick, P. (2010). An overview of recent advances in treating chronic kidney disease. Journal of Renal Nursing, 2(3), 110-115. Chase, D., Roderick, P., Gallagher, P., Burnley, H., Roberts, P. R., & Morgan, J. M. (2006). Case series of sudden cardiac death. Heart, 92(Supplement 2), P. A77. Chase, D., Roderick, P., Milne, R., & Morgan, J. (2006). Incidence and prognosis of ventricular arrhythmias. Heart, 92(Supplement 2). Dinnes, J., Deeks, J., Kirby, J., & Roderick, P. (2005). A methodological review of how heterogeneity has been examined in systematic reviews of diagnostic test accuracy. Health Technology Assessment, 9(12), 1-113, iii. Patch, C., Roderick, P., & Rosenberg, W. (2005). Comparison of genotypic and phenotypic strategies for population screening in hemochromatosis: Assessment of anxiety, depression, and perception of health. Genetics in Medicine, 7(8), 550-556. Raftery, J., Roderick, P., & Stevens, A. (2005). Potential use of routine databases in health technology assessment. Health Technology Assessment, 9(20), 1-106. Roderick, P., Ferris, G., Wilson, K., Halls, H., Jackson, D., Collins, R., & Baigent, C. (2005). Towards evidence-based guidelines for the prevention of venous thromboembolism: systematic reviews of mechanical methods, oral anticoagulation, dextran and regional anaesthesia as thromboprophylaxis. Health Technology Assessment, 9(49), 1-78. Gerard, K., Nicholson, T., Mullee, M., Mehta, R., & Roderick, P. (2004). EQ-5D versus SF-6D in an older, chronically ill patient group. Applied Health Economics and Health Policy, 3(2), 91-102(12). Butler, J. A., Roderick, P., Mullee, M., Mason, J. C., & Peveler, R. C. (2004). Frequency and impact of nonadherence to immunosuppressants after renal transplantation: a systematic review. Transplantation, 77(5), 769-776. Butler, J. A., Peveler, R. C., Roderick, P., Horne, R., & Mason, J. C. (2004). Measuring compliance with drug regimens after renal transplantation: comparison of self-report and clinician rating with electronic monitoring. Transplantation, 77(5), 786-789. Jordan, H., Roderick, P., & Martin, D. (2004). The Index of Multiple Deprivation 2000 and accessibility effects on health. Journal of Epidemiology and Community Health, 58(3), 250 - 257. Drey, N., Roderick, P., Mullee, M., & Rogerson, M. (2003). A population-based study of the incidence and outcomes of diagnosed chronic kidney disease. American Journal of Kidney Diseases, 42(4), 677-684. Roderick, P., Davies, R., Raftery, J., Crabbe, D., Pearce, R. P., & Patel, P. (2003). The cost-effectiveness of screening for Helicobacter pylori to reduce mortality and morbidity from gastric cancer and peptic ulcer disease: a discrete-event simulation model. Health Technology Assessment, 7(6), 1-86. Barnett, S., Roderick, P., Martin, D., Diamond, I., & Wrigley, H. (2002). Interrelations between three proxies of health care need at the small area level: an urban/rural comparison. Journal of Epidemiology and Community Health, 56(10), 754-761. Roderick, P., Jones, C., Drey, N., Blakeley, S., Webster, P., Goddard, J., ... Tomson, C. (2002). Late referral for end-stage renal disease: a region-wide survey in the south west of England. Nephrology, Dialysis, Transplantation, 17(7), 1252-1259. Patch, C., Roderick, P., & Rosenberg, W. (2001). Comparison of two screening strategies for haemochromatosis: a pilot study investigating uptake, feasibility and cost. Journal of Medical Genetics, 38(31 (supplement). Davies, R., & Roderick, P. (1998). Planning resources for renal services throughout UK using simulation. European Journal of Operational Research, 105(2), 285-295. Roderick, P. (1970). Putting prevention first in kidney care. British Journal of Renal Medicine, 14(4), 27-30. Fraser, S., Sawhney, S., Marks, A., & Roderick, P. (2018). Chapter 6: Development of AKI and CKD. In F. Caskey, & G. Dreyer (Eds. ), Kidney Health Inequalities in the United Kingdom: Reflecting on the Past, Reducing in the Future (pp. 65). Kidney Research UK. Morgan, S., Eyles, C., Adongo, P., Roderick, P., & Hill, A. (2018). Living with multimorbidity in Ghana: A qualitative study guided by the cumulative complexity model. Abstract from Society for Social Medicine 62nd Annual Scientific Meeting. , . Afshar, S., Roderick, P. J., Hill, A. G., Dimitrov, B. D., & Kowal, P. (2015). Global multimorbidity: a cross-sectional study of 28 countries using the World Health Surveys, 2003. Paper presented at 8th European Public Health Conference: Parallel Sessions, Milano, Italy. Nicholson, T., Gerard, K., & Roderick, P. (2005). Appropriate estimation of staffing costs in economic evaluations. Health Economists' Study Group, . Gerard, K., Nicholson, T., Mullee, M., Mehta, R., & Roderick, P. (2003). Health-related quality of life in haemodialysis patients – EQ5D compared with SF-36. 4th World Congress of the International Health Economics Association, . Roderick, P., Nicholson, T., Armitage, A., Mehta, R., Mullee, M., Gerard, K., ... Health Technology Assessment Series (2005). An evaluation of the costs, effectiveness and quality of renal replacement therapy provision in renal satellite units in England and Wales. (Health Technology Assessment; Vol. 9, No. 24). Kent, County of, GB: Gray Publishing. Roderick, P., Parkes, J., Rosenberg, W., Sheron, N., Dillon, J., Young, A., ... Goddard, J. (2004). The epidemiology and health care burden of chronic liver disease. UK: British Liver Trust and Foundation for Liver Research. Co-ordinator of public health teaching to University of Southampton BM5 medical students 2006-2012 and 2018-ongoing. Recently introduced new teaching on global health and helped develop health research module of 4th year B Med Sci. Contributor to MSc in Public Health Nutrition University of Southampton 2007-11, co-ordination of Epidemiology module of MSc in Public Health Practice at School of Health Sciences University of Southampton 2007-11. He helped develop new Masters in Public Health which started in 2013. He also contributes to Part A training. Extensive experience of PhD and MD supervision and external examining. Ongoing supervisor to 5 PhDs and 3 MD.